NIH released a Request for Information (RFI) seeking to obtain suggestions for specific biomarkers that could be included in the A2CPS Program. This program will develop a set of objective biomarkers that provide a “signature” to predict a transition from acute to chronic pain, in order to accelerate therapy development and ultimately to guide pain prevention strategies. These biomarkers are greatly needed as the number of people who transition from acute to chronic pain after an acute pain event is surprisingly high. This high prevalence of chronic pain in the US has in part contributed to the current opioid epidemic. A major challenge in pain management is preventing chronic pain from occurring after an acute pain event. 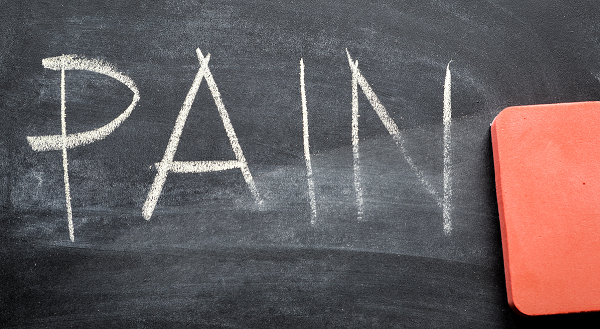 For most people, acute pain resolves as the injury or trauma that caused it heals. Yet in many other people, acute pain from injury, surgery, or disease persists beyond the initial insult, and can last for years or throughout life. Many drugs, while effective early on, lose efficacy over time and make the transition from acute to chronic pain worse. In those who transition to chronic pain, maladaptive changes occur throughout the nervous system. Our ability to reverse these changes is very limited. Our lack of understanding of the mechanisms of transition to chronic pain is a major gap in knowledge that limits development of effective preventive therapies. The ability to identify those at risk for transitioning to chronic pain could inform future clinical trials, improve success of trials, and transform acute pain treatment approaches for prevention of chronic pain. The Acute to Chronic Pain Signatures program will use advances in imaging, high-throughput biomedical experiments (‘omics), sensory testing, and psychosocial assessments to explore a range of characteristics from patients who transition or are resilient to chronic pain. The study will follow two groups from the time of acute pain event over a period of six months. One group will have post-operative pain and the other will have musculoskeletal trauma. The key deliverable of the program is a comprehensive data set for the research communities that should reveal “signatures” predictive of transition versus resilience to chronic pain.